DETROIT - Tuesday night in Michigan was a lot more exciting than you probably planned it to be. Around 8:10 p.m. (give or take), a meteor flew past Southern Michigan, triggered a weak earthquake and blew up your social media feed. 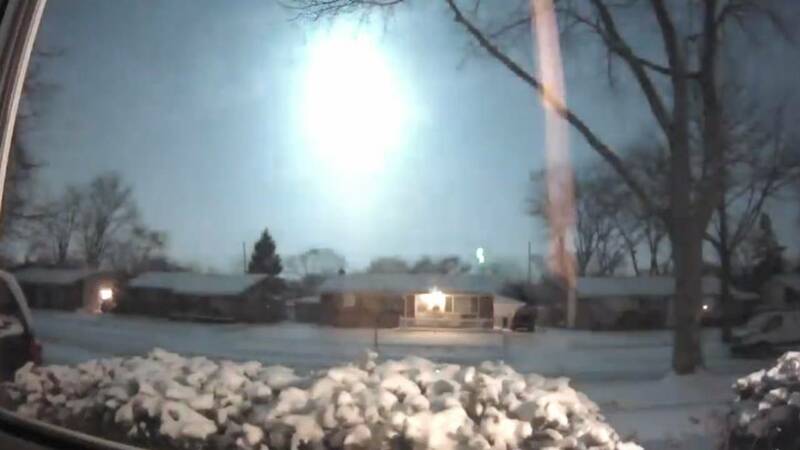 The United States Geological Survey confirmed Tuesday that a meteor was sighted over Metro Detroit and caused a magnitude 2.0 earthquake, according to the National Weather Service. What exactly is a bolide? Where did debris land? A map posted on the organization's website shows several reports throughout Metro Detroit. There are also reports in West Michigan, Ohio, Indiana and Illinois. What is the difference between a fireball and a bolide? A bolide is a special type of fireball which explodes in a bright terminal flash at its end, often with visible fragmentation. Michigan meteor: How valuable are meteorites? As it turns out, there is a decent market for meteorite - which is what it's called once it hits the ground.